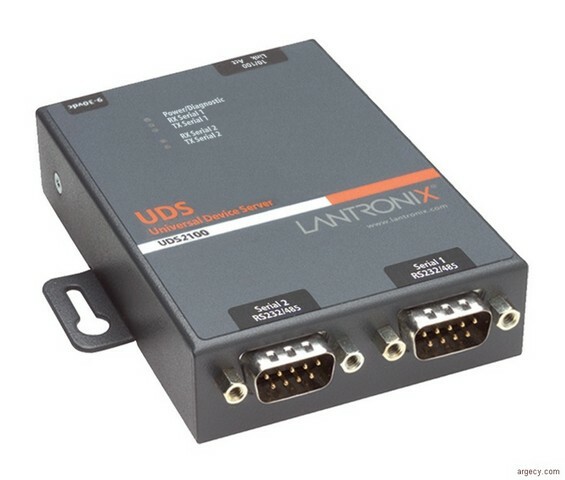 Using Lantronix supplied Com Port Redirector software, Windows device applications not designed for network communications are re-directed to communicate to devices connected to the UDS2100. Built into the included Com Port Redirector software, TruPort technology enables Windows-based applications to access and control serial ports on the UDS2100 as if they were actually local PC serial ports. The application can monitor and set hardware pins on the UDS2100 serial ports as well as access serial buffers for total Com port control. This allows existing applications to seamlessly transition from controlling local devices to true remote monitoring and control of devices around the world.